This mod adds two weapons based on the game of Half Life 2, available for this new Minecraft version. Gravity Gun Mod 1.6.2 and 1.5.2, offers you two types of weapons, which will allow us shoot mobs, animals or blocks in the air. Once in the air the we can move them to place where we desire or with a left-click send them flying through the air. 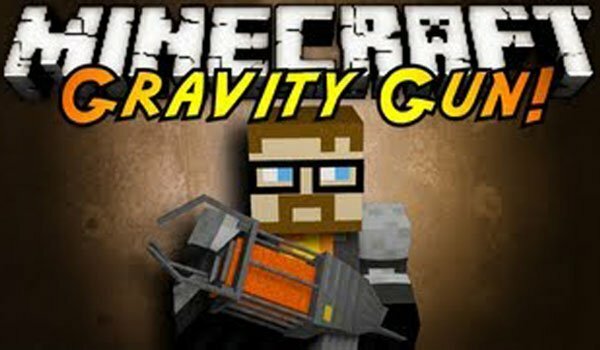 How to install Gravity Gun Mod for Minecraft 1.5.2? Paste the downloaded “iChun Util” file and downloaded mod file into .minecraft / mods folder.